All polka dots call me … by name … and I am drawn to them. The dots can be on plates, purses, note pads … it doesn’t matter … I love all polka dots! 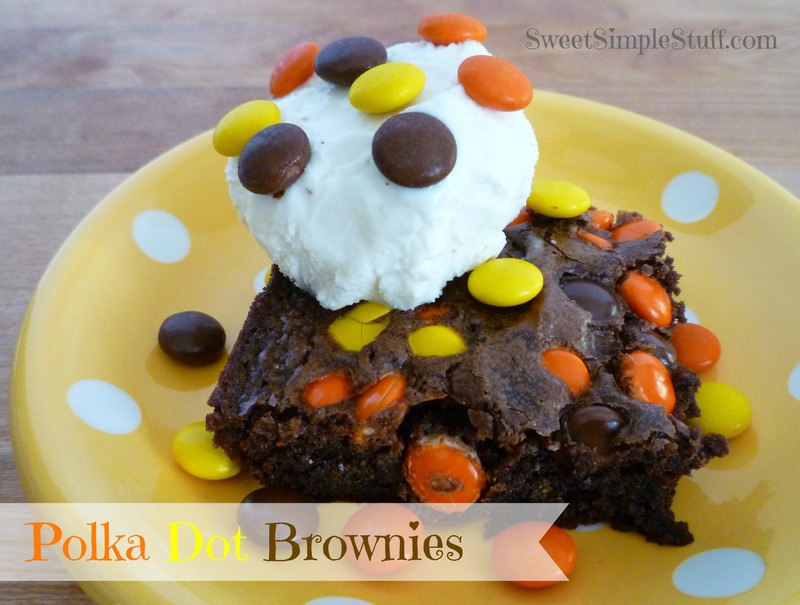 I was pleasantly surprised that the candy stayed on top of the brownies … creating polka dots! If you don’t have Reese’s Pieces, how about M&M’s? 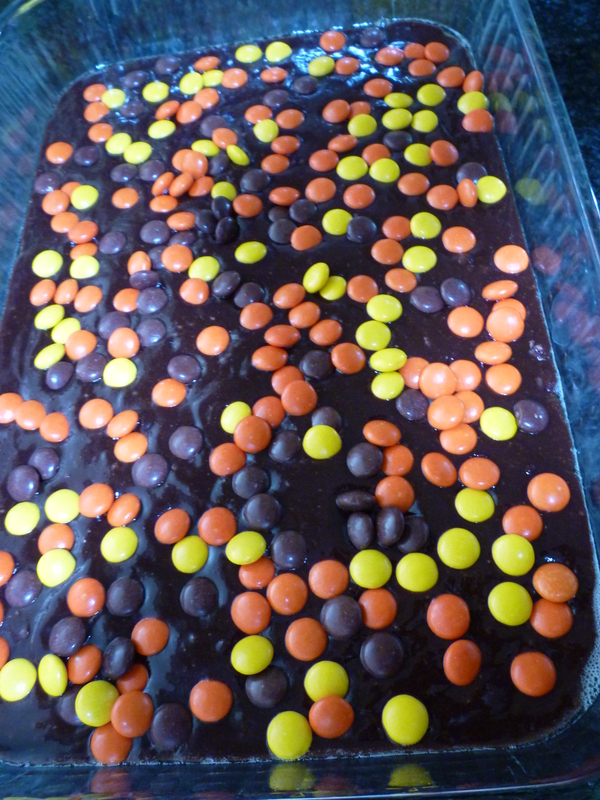 Wouldn’t pink M&M’s on chocolate brownies be pretty? Now I want to sort my candy by color … that means more spring cleaning. Prepare brownies and baking pan as directed on box. 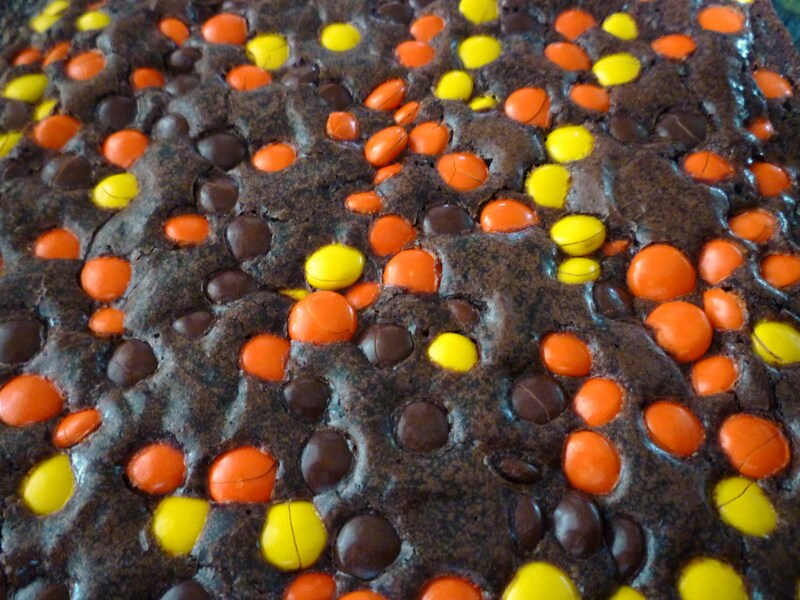 Spread brownie batter in prepared pan, sprinkle 1 cup Reese’s Pieces evenly over batter. Cool, cut and serve with ice cream. Garnish with more candy (polka dots) if desired. This was so easy peasy … I almost feel silly sharing it 😉 As always … I ♥ your comments! And who doesn’t love chocolate on top of chocolate?!! I concur with the spring cleaning and M&M sorting!! I’ve done that with the Christmas M&Ms – got the greens ones sorted for St. Pat’s. If I really would’ve been organized I would’ve pulled the red out for Valentine’s! Reese’s Pieces? Brownies? Best combo ever! Ahh the simplicity of it all makes for some happy teenagers. I am crazy about polkadots too! 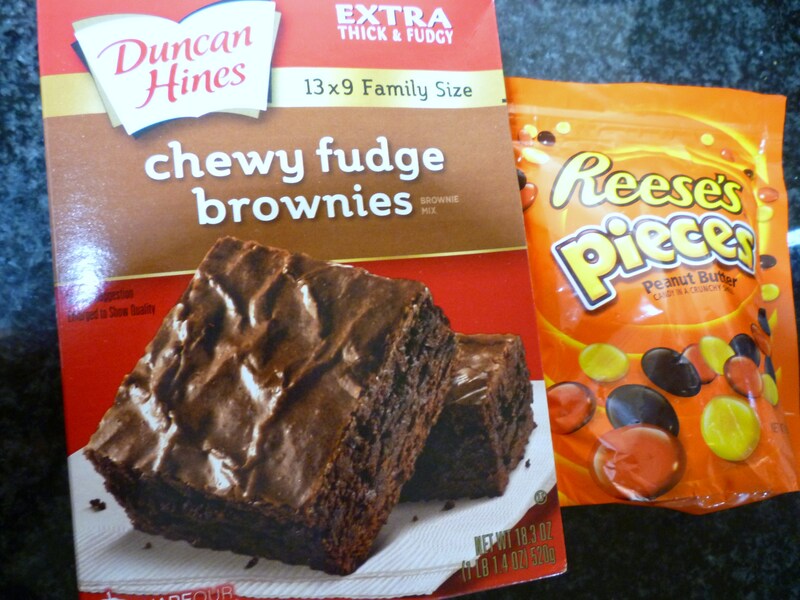 And brownies with Reese’s polkadots…yeah, even crazier about that!! !